Barack Obama Birth Chart & Horoscope-The 44th President of USA. Strange Planetary Coincidences in His Life!!! The presidential transition period began following Osama’s election to the presidency on November 4, 2008. He was elected to a second term on November 6, 2012. 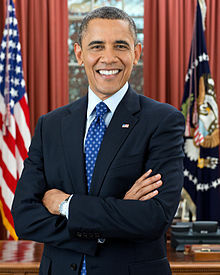 Barack Hussein Obama born August 4, 1961) is the 44th and current President of the United States, and the first African American to hold the office. Born in Honolulu, Hawaii, Obama is a graduate of Columbia University and Harvard Law School, where he served as president of the Harvard Law Review. He was a community organizer in Chicago before earning his law degree. He worked as a civil rights attorney and taught constitutional law at University of Chicago Law School from 1992 to 2004. He served three terms representing the 13th District in the Illinois Senate from 1997 to 2004, running unsuccessfully for the United States House of Representatives in 2000. He has a Capricorn Horoscope from ascendant and Taurus Horoscope from Moon sign. Mars a naturally aggressive planet ad as it is weak- it severely affects his family ad yes gains. Which is true we know.In Rahu period( Rahu = Uranus ad is same as Dragon’s Head), he lost his father, though lord of father moon is very strong in Kendra. He runs rahu-jupiter, Jupiter represents house of father(9th house) and also rules 12th (bad health)and aspects a long term relationship. Rahu is bad placed I 8th house of death ad also o karaka/representative of father = sun. His Rahu also sends the malefic energy to his family/status ad also family ad mind. Also may be more inclination to politics. AS rahu supports politics He joined politics in this time frame. Rahu runs from (1981 to 1996). The he runs Jupiter main period. Jupiter though weak is In Kendra( 1st 4th/7th house are kendra houses). Jupiter Absorbs good energy from mercury- the lord of windfalls and sun, which could give him troubles- but as well un expected gains! Jupiter is actually karaka/sigifcator for luck. He runs Jupiter-moon, when he was to be elected as the president first time. Moon for him is very strong I Taurus as per Vedic astrology. It rules the house of NEW CONECTIONS( 7th house) and gets energy from sun, rahu/Uranus ad mars- in 8th house. So over all gets un expected and sudden energy and thrust for leadership gains ad also as mars rules 4th house of public life- this house also gets energy and weakness of mars is compensated. Rahu a we know has a key role for him to play, his date of broth =4= rahu/Uranus and would help him climb the ladder. Rahu again shares energy with mars( 4th house ruler= public life) and yes Sun= Public life. 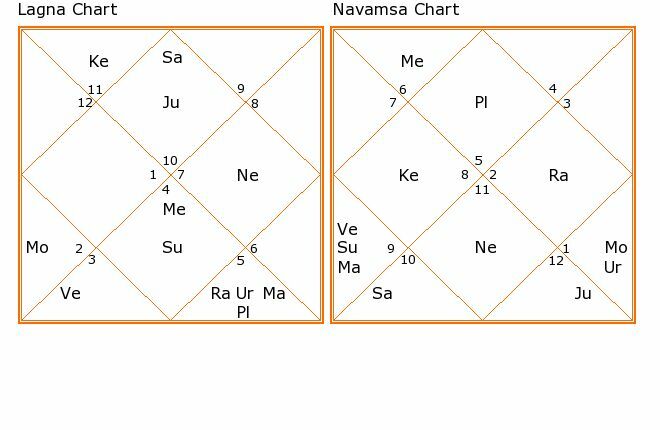 Also rahu a planet of politics and sitting in 8th– gives him an edge. He runs major period of Saturn .It rules 1st and 2nd house and sits in 1st house. He would do just OK. As saturn are weak- but gets some energy from other planets. He would like to focus on relationships more now. Jupiter could make his life a bit tough. Also trouble through religious fanatics possible- due to jupiter ruling 12th house. Just a slight indication- but not a strong one.So could cause ego clashes or clashes I regards to view points with them. We sincerely wish him a long and fruitful life.